Most modern homes in the Denver area enjoy central heating and air conditioning that’s controlled by sophisticated thermostats. These systems allow the climate management of homes and businesses to be almost completely automatic. Simply program the heating and cooling functions of your HVAC system to be triggered by when the home reaches a certain temperature, and you almost never have to worry that your home will be uncomfortable. This automation allows us to be blissfully ignorant of our HVAC system’s functioning day in and day out. Until something goes wrong, that is. When dealing with an HVAC issue that prevents your heating and cooling systems from working properly, it can be annoying and downright uncomfortable. Premier Heating and Air is proud to be a preferred choice for HVAC services among homeowners in Denver. 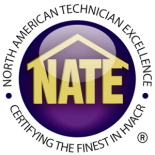 Our experienced HVAC repair technicians have been diagnosing problems with HVAC systems for many years, and through our maintenance service, we can help you to avoid these issues all together. But how can you tell if a problem with your HVAC service is a real issue or just user error? Here are some troubleshooting tips for common HVAC issues from our repair and installation experts. 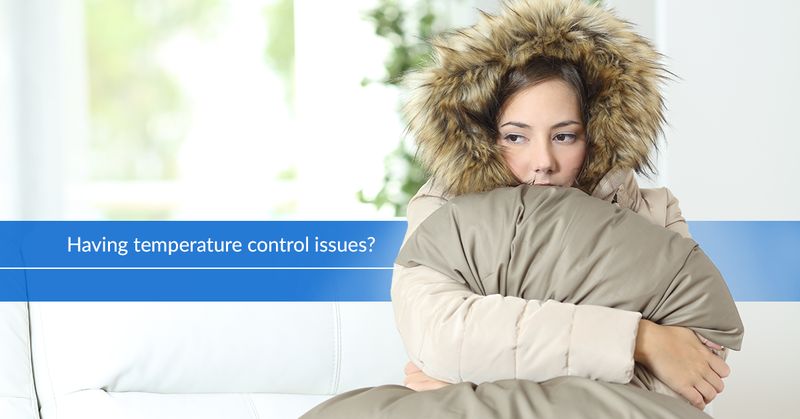 Let’s say you come home and find that your heating or air conditioning hasn’t worked all day. The house is either freezing cold or hotter than Red Rocks Amphitheater in the middle of July. Neither of these are particularly enjoyable temperatures, so you check the thermostat. It says that your heating or air conditioning should be on, but it’s not. The first thing to do is ensure that your HVAC system is connected to a power supply. Find your electrical service panel and make sure that the circuit breaker has not been tripped. Remember that your furnace and air conditioner likely have their own separate circuits. If you’ve noticed that your heat isn’t working properly, it’s important to double check the furnace door before you call for HVAC service. In some cases, the panel door on the furnace can become ajar, which will prevent the system from operating as a safety measure. 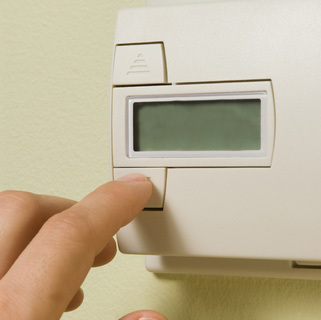 All you may need to do to restore your heating is to open the door and push the reset button! Remember, if you don’t feel comfortable reaching into your furnace, a Premier Heating and Air technician would be happy to perform this HVAC service for you. If you’ve already reset your air conditioning unit at the circuit breaker and it still isn’t blowing cold air, you’ll want to check for water below the air conditioning unit of your HVAC system. Water below the unit can allow the coils to freeze, which will prevent the cooling function from working properly. If you notice water and/or frozen coins, let the unit sit in the off position for three hours so they can defrost. These are just a few of the issues that can arise with your HVAC system. Most of these issues can be spotted early, or even prevented, by hiring us for semi-annual HVAC service.